2013 has been a truly incredible year for Abora. Perhaps most notable is that Abora won 5 Future Favorites on Armin van Buuren's a State of Trance; as a label, Abora was surpassed only by Armin's own Armind & Armada. Abora's success has led to Kelly Andrew, Afternova, New World, & Playme becoming household names in the emotional & orchestral uplifting trance scene, joining already-established veterans SoundLift, Andy Blueman, & Geert Huinink, all of whom also call Abora home, as does Abora's ever-more-prominent A&R Manager Driftmoon. But 2013 has also seen the rise of other extremely talented Abora artists, including Ikerya Project, plus the birth of new sublabels, including Abora Chillout & Abora Skies. This mixcompilation captures the very best that Abora released in 2013. All the top tracks are here, including some you may have missed. 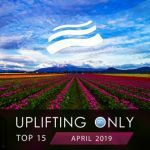 And all these top tracks have been integrated into one single continuous mix by Ori Uplift, Abora's CEO & owner, that wraps up all the year's best into one truly uplifting listening experience. This mix is itself reason enough to pick up this mixcompilation.